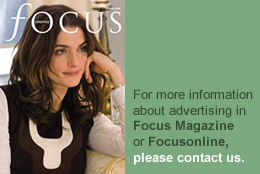 Article from FOCUS Magazine – Autumn 14 issue. Houses with added value – fantastic living space or extras such as media rooms, cinema rooms or wine cellars, are always in demand and when it comes to sell, those extras could make all the difference to securing a good sale. “Added value is all about leisure, comfort, luxury. You’ve got to be thinking of space – open informal living areas with huge kitchen-come-dining-come-living/TV areas. Although removing a few walls doesn’t cost a lot, it creates a great deal of ‘value’. Big folding doors bringing the garden into the house are the order of the day, with plenty of outdoor space to hold lunch parties and spend the day in our ever warmer weather” says James Wyatt of Barton Wyatt. He also reckons that outdoor pools are back in favour. “They are much cheaper to run than they used to be and (relatively) inexpensive to install” he adds. The agent is selling Lockerbie, a magnificent house on the outskirts of Chertsey, which has an outdoor swimming pool complex with kitchen and parking for many cars. It also has a detached recording studio, where many stars have recorded such as Take That and all of the X Factor stars including One Direction. The three-storey five bedroom house has a triple aspect kitchen and steps up to a large vaulted lounge with panoramic windows giving spectacular views. With detached annexe and one acre paddock, the house is on the market for £1.69 million. Another big change in expectations this year is electronic gadgetry. Control systems have fallen rapidly in price and with super-fast broadband available almost everywhere, a house without a comprehensive wi-fi system installed around the property is likely to be shunned. West Court in Bray has super high tech features as well as being a magnificent Grade II listed Arts & Crafts property. With its own boat house and 300 feet of river frontage, features include built-in sound systems, televisions in all rooms controlled from a central hub and smart box, so that parents can check what their children are watching, extensive CCTV which can be accessed remotely and a gym complex with state-of-the-art equipment set in a room with a beamed vaulted ceiling with decorated plaster panels dating back to 1901. The drawing room is heavily panelled, the dining room has a statement floor to ceiling polished cement fireplace and there are eight bedrooms, plus a two bedroom cottage. In the acre garden, there is a two-storey Wendy house and floodlit swimming pool. Knight Frank is selling the property for £10 million. Hampton Lodge in Hampton Court also has water frontage and mooring at the end of its acre of lawned garden. The Georgian style Victorian house has eight bedrooms, two large reception rooms and a fantastic leisure centre which forms a wing of the house. In this, there is an 11 metre swimming pool with wood vaulted ceiling, games room, sauna and small kitchenette. With off-street parking for eight cars and a garage with storage space over, the house is for sale through Savills’ Richmond office with a guide price of £4.75 million. “Properties with swimming pools, gyms and wine rooms are popular with buyers as they offer a lifestyle change as well as a new home. The principal attraction is convenience: having state of the art exercise facilities under your own roof instead of having to drive to a gym for a workout, or the capacity to store your wine collection at home rather than with a wine merchant. These added extras often aren’t part of a buyer’s criteria, but can become a deal maker when they’ve seen the property and realised their value” says Sarah Doughty of Savills’ Wimbledon office. She is selling George Lodge Cottage in Coombe, near Kingston upon Thames. This is a large modern red brick house with fantastic interior space, plus a 40 feet long media room, gym and wine cellar. The massive kitchen is divided from the dining area by a central glass fireplace and there is a decked terrace off the kitchen. There is also a staff/nanny annexe over the garage, which is linked to the house via the laundry room. The house is on the market with a guide price of £6.75 million. 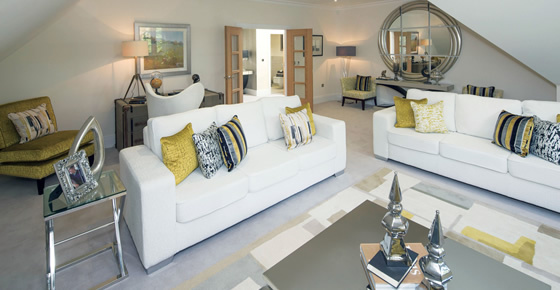 Leopold House, on the Crown Estate in Oxshott, is a stunning brand new mansion, built by Manorgrove Homes. All the main functions of the house are controlled by a sophisticated home management system which can be accessed remotely. There is also a multi-room audio visual control system with touch screen 16 zones of audio with fitted ceiling speakers. The house has been designed for entertaining on a grand scale with a bespoke curved cantilevered stone staircase, eight bedrooms and five reception rooms. It also has a study and roof terrace off the master bedroom suite. In the gardens, designed by Chelsea Flower Show Award Winner, Fyne Design, there is a columned loggia, which has an overhead heater for cooler days. The indoor swimming pool complex has a Jacuzzi, pool bar and steam room and there is also a cinema room. Sothebys International Realty is selling the house with a guide price of £5.95 million. “In general, the higher the specification of a property, the more interest there is. Buyers of super homes tend to be very clear on the features they expect in a property, with gyms, cinema rooms and leisure complexes with swimming pools, Jacuzzis and saunas expected as standard at the highest end of the market” says Vincent Dennington, John D Wood, Weybridge. On the outskirts of Chobham, there is a superb Victorian house, which was once home to the fighter pilots of the Canadian air force during World War II and in 1974, and to Greece’s deposed King Constantine II and his wife Queen Anne-Marie. In its 9,000 square feet of living space, there are four reception rooms, 10 bedrooms and a snooker room. The parquet flooring in the hall and reception rooms is quite a feature and within the 8 acres of grounds, there is an outdoor swimming pool, tennis court, studio, stable and triple garage. The house is on the market with Carsons for £4.5 million. Saddle Stones in St George’s Hill, Weybridge, is a fabulous new house built by Octagon Developments, which is being sold fully furnished. This three-storey seven bedroom, eight bathroom house has one acre of beautifully landscaped gardens, summer house and views of the Surrey countryside. Features include an eight person lift, a sweeping marble and glass staircase with Murano crystal chandelier and black cloverleaf Francesco Molon love seat in the white marble entrance hall, heated outdoor swimming pool, cinema room with wet bar and an integral garage for three to four cars with turntable parking. On the second floor, there is a giant sized playroom equipped with juke box, Foosball football table, plasma TV plus kitchen area and the whole floor could easily be turned into self-contained staff accommodation. Savills’ Weybridge office and Helas Wolf are selling Saddle Stones for £9.5 million.